There is little doubt that Denmark has a proud tradition of fostering exceptional bassists -just think of names like Niels-Henning Orsted Pedersen, Jesper Lundgaard, Bo Stief, Jesper Bodilsen and, more recently, Anders Christensen, Jonas Westergaard and Richard Andersson. Add Morten Haxholm to this ever growing list. Haxholm has been ambitious from the start. On his debut, Equilibrium (Storyville, 2013), he enlisted no less than the powerhouse drummer Ari Hoenig and the renowned guitarist Jonathan Kreisberg. Both of them joined him again on the follow-up Quintessence of Dust (Long Life Records). Now Haxholm has two recordings out, one as a leader and one as a co-leader. 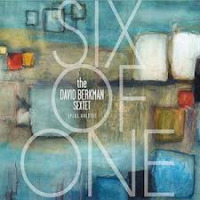 Both of the records feature prominent guests and show an advanced understanding of composition and jazz tradition. "'Umber' and 'Viridian' (the title of the album) are both names of colors. Having painted quite a lot when I was younger, the names of these colors bring back memories of being immersed into the relaxing and creative world of painting pictures. 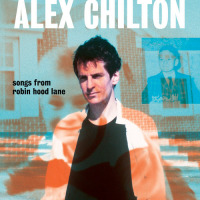 I guess that a goal for a musician is to inspire some musical pictures -or stories -for the listener"
Haxholm succeeds as a painter of sound on Viridian and, once again, he uses a prominent guitarist. This time it is not Kreisberg, but the Norwegian-born guitarist Lage Lund whose complex understanding of harmony and chords enriches Haxholm's compositions that are intellectually challenging pieces, sometimes with rhythms in 4 over 7/4 and 3 over 7/4. 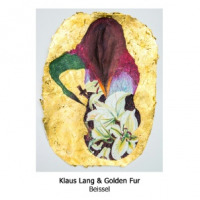 Morten Lund is the drummer who keeps it all together and he introduces "Frantic" with an elegant and airy swinging sound before Lage Lund enters with the swirling theme backed by Haxholm and pianist William Larsson. As the title suggests, the tempo is high, but the feeling is not heated and while Lund may play fast, his lines are always lucid. The opposite of "Frantic" follows immediately with "Birthday Waltz," a more contemplative piece, but far from simple. The lines still weave in and out of each other and the motifs have a tendency to blur in endless arabesques. In this sense, Haxholm is an impressionistic musician who works with a framework where the melody and rhythm is not stable, but rather fluid. A comparison could be made to the painter Claude Monet who suggested the image of his famous Japanese bridge in his late paintings rather than highlighting it as a motif on a background. It is this particular blurring between figure and ground that also lies at the heart of Haxholm's aesthetic on some of the compositions. However, the interesting thing is that he does not let go of tradition. 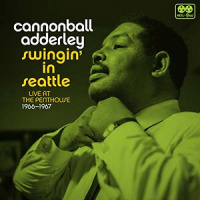 In fact, he acknowledges it clearly with the inclusion of two standards: "Stella by Starlight" and "Along Came Betty." In the notes, Haxholm explains that he wanted to hear what guitarist Lage Lund could do with these classic pieces, but Lund is not the only one who is able to twist jazz tradition. 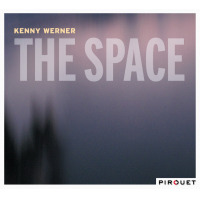 All the members of the quartet show that they have a refreshing take on what it means to play challenging, contemporary jazz -without abandoning melody or rhythm. The beautiful ballad "Umber" is also proof that they can play a melody straight and get to the emotional core of a piece. 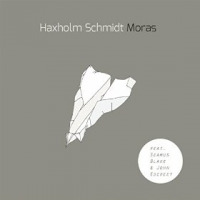 Moras is another album from Morten Haxholm, but this time he shares the bill with drummer Rasmus Schmidt. In fact, one of the meanings of the title of the album is that it is an amalgamation of the names of the leaders Mo(rten) and Ras(mus). Another meaning is that the word means disorder and muddle, but here it should be understood as a kind of openness where there is room for different aesthetic expressions. The format is once again a piano-driven quartet, but the line-up is changed completely. John Escreet is new in the piano chair and guitarist Lage Lund is replaced by saxophonist Seamus Blake. Especially Blake takes the music in a more bop-based direction on cooking tunes like "Deepsea Explorer," "Prometheus" and "Brazen." With only four chords, "Brazen" is a contrast to some of the complex compositions on Viridian, but the reading is far from simple. Instead, the four musicians embellish the basic chord progressions with advanced ornaments and create a lot of music out of a very little frame. 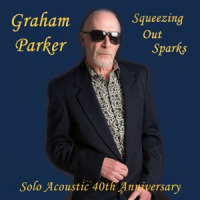 The link between the two albums is the reading of the ballad "Umbria" that is caressed poignantly by Seamus Blake's saxophone and Escreet's shimmering piano chords. Another ballad highlight is the sole composition by Rasmus Schmidt: "Happy Ever After Is so Once Upon a Time." Once again, Blake digs deep into the melody and Escreet spreads out a riverbed of chords. 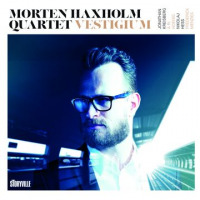 Both of these records show Haxholm as a thoughtful and intellectual player who is able to hold his own in the company of some excellent musicians. He is a Danish bass-player on top, but he does not need to be on top in terms of the sound. Instead, he is more of a composer-bassist in the way that he is interested in the collective exploration of sound. Tracks: Eldritch; CNTDWN; Stella by Starlight; Frantic; Birthday Waltz; Umber; Gloria; Along Came Betty. 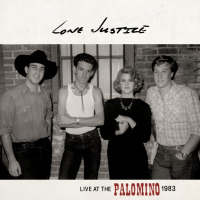 Personnel: Morten Haxholm: bass; Lage Lund: guitar; William Larsson: piano; Morten Lund: drums. Tracks: Prometheus; Brazen; Umber; Deepsea Explorer; Cognitive Dissonance; Miyagi; Subtle Drift; Happy Ever After Is so Once Upon a Time. 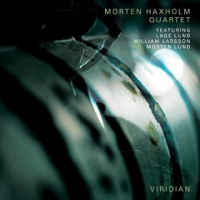 Personnel: Morten Haxholm: bass; Rasmus Schmidt: drums; Seamus Blake: saxophone; John Escreet: piano.